Sophie Tobin’s strategic design talent is fuelled by her creative problem solving and experimental mindset. Sophie believes that the best solutions come from the employment of multidisciplinary teams and perspectives, resulting in outcomes which consider a holistic approach to a product service system. She is motivated to understand how human behaviour shifts across contexts; driving the identification of latent needs and insights to spearhead innovation. Sophie currently leads the fast-growing Strategic Design team out of the BCG Digital Ventures Sydney Center. Under Sophie’s guidance, the team delivers best-in-class methodologies in qualitative research, future visioning, concept development and validation and behavior design. She understands that her team’s success is the result of its people, who represent a diverse patchwork of backgrounds from industrial design, entrepreneurship to psychology. 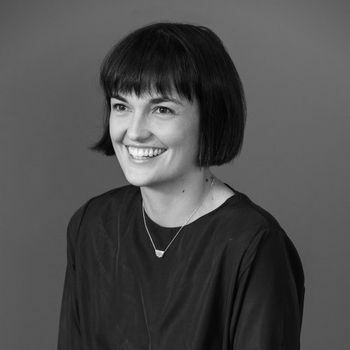 Before joining DV as one of Sydney’s founding members in 2014, Sophie has held several positions across both UX and service design. In these roles, she has helped shape and enhance the customer experience for some of Australia’s largest retailers, banks and telcos – making customer experience not only something that is considered, yet also implementable, scalable and measurable.